To be completely honest, I have mixed feelings about the droids. When compared to the their predecessors, the Dark Kingdom’s youma had a lot more variety. Each of the Four Kings used their youma in different ways, and I kinda wish that there was more of a distinction between how the droids were used as the Black Moon arc progressed. That’s not to say that they were entirely uninteresting. Quite the opposite! 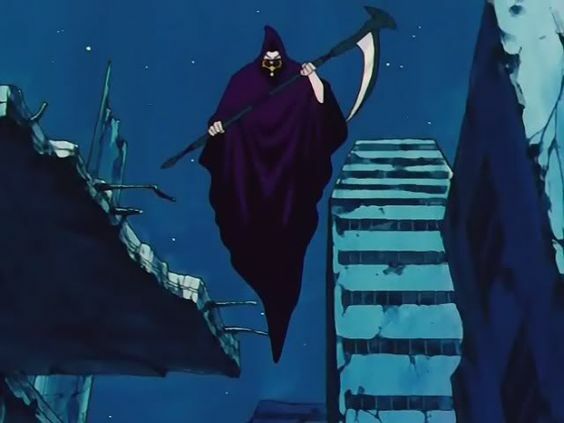 One thing that I really liked about the Sailor Moon R anime was the fact that it felt like more time was spent showcasing how the villains were taking energy and showing the droids in their pre-transformed (pre-battle?) forms, even giving some of them civilian names. Of course, I’d be remiss if I didn’t point out the obvious fact that the droids were completely different in the original manga and in Sailor Moon Crystal, all sharing the same appearance, having no individual names, and serving more as generic foot soldiers for the Black Moon clan. 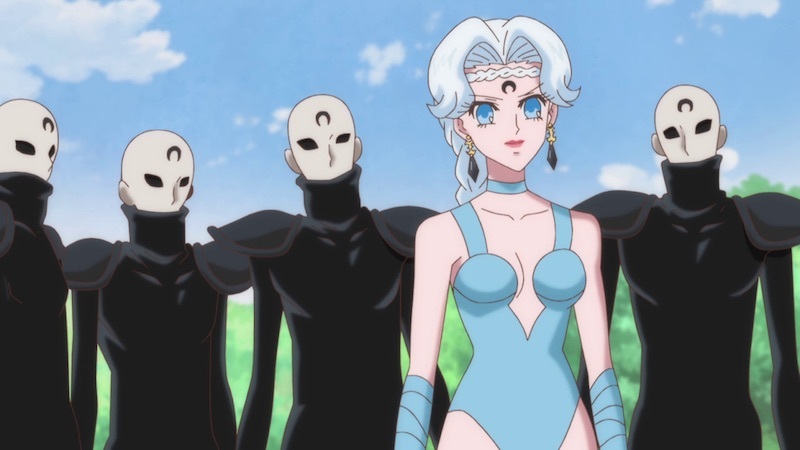 Since the anime had a lot more time to fill, they obviously needed more interesting “monsters of the day,” and that’s definitely something I enjoyed about the Sailor Moon anime over the manga. Enough rambling! Let’s take a look at where all these droids get their names! Atsugessho: Fitting to her theme of running a cosmetics shop, her name is a play on the term for “heavy makeup,” 厚化粧 (atsugeshou). While this is sometimes used negatively, such as when referring to a person who is using way too much makeup to cover up features they don’t like, it also is used in cases like kabuki, period dramas, ballet, and more. Nipasu: Once again reaching out into more obscure roots, I have to give it to the Sailor Moon production team for this one. The name comes from niphas,1 a Greek word for snow-storm. Incidentally, the name for the ice cream shop that Nipasu works at, “Bob-Floy,” may be related to an ice cream bar known as “BOB,”2 produced by Kanebou from 1979. I’m not sure what Floy could be in reference to, though. Dumbull: While it’s widely speculated that her name is in reference to a dumbbell (and hence the common spelling of “Dumble”), I think it’s more likely that the name is a combination of Dump Matsumoto3 and Bull Nakano4 – two popular Japanese female wrestlers in the late 80s and early 90s. 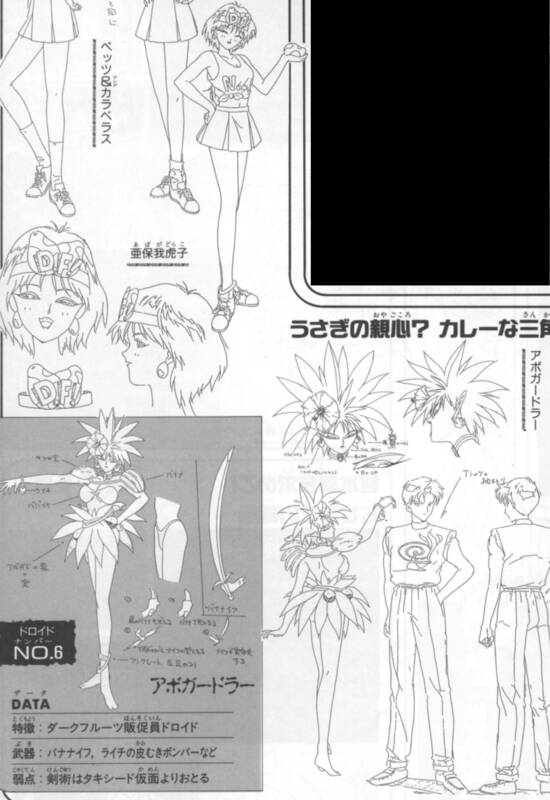 Furaiki: Her name is a combination of the elements that define her character – wind (風; fuu) and lightning (雷; rai). The last part of her name comes from 鬼 (oni; ki), the kanji for devil/monster/demon. Jaamanen: The source of her name is a bit strange to me. All Japanese sources say that this comes from a Japanese entertainment industry term for a manager (like an actress’ agent); i.e., ジャーマネ (jaamane) which is マネジャー (manejaa; manager) swapped around. 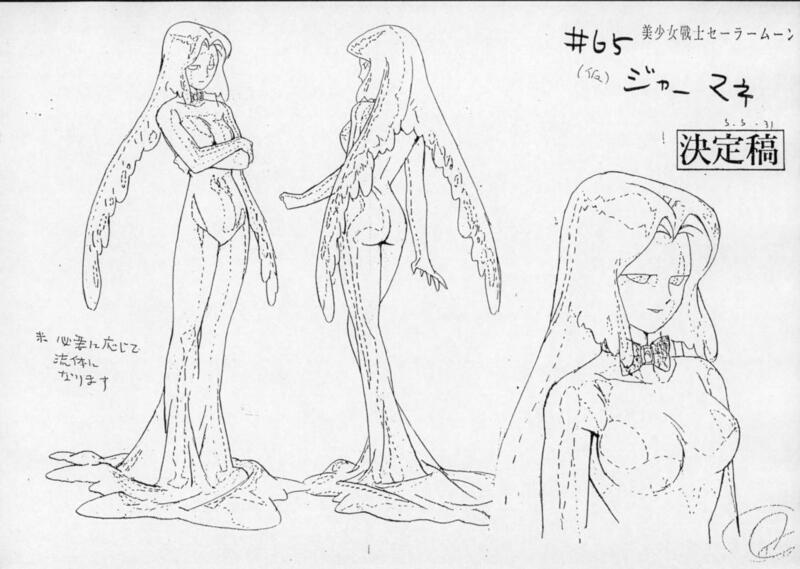 The tentative name in the original design documents was Jaamane5 , and the “n” at the end was added later. Jaakokku: The name literally means “evil black” (邪黒; jakoku) and could be considered as a standalone name, but the name is more directly taken from Jaakokku’s original form: the Evil Black Crystal (邪黒水晶; jakokusiushou). Due to the sheer number of droids involved, I’ve decided to cut this post up into two parts. However, part 2 will be up shortly with more interesting (and some very unexpected!) names and origins. See ya next time! ← What Myth Are the Ayakashi Sisters Referring To? Nooo, I typed out a long comment and I think it got erased instead of submitted! Please delete this post if it’s a duplicate. The shorter version: Cool article as always, I love reading about the thought process behind the character designs and their names. They also have a list of all the MOTD names and meanings. I like your romanizations better, those double letters are important! Wiki sites and subtitles seem to have been relying on their character name listings I think. They list the one character’s name as Dumble, and say that it’s a reference to the word “tumble”. That seems like a pretty weak reference… with this character being such a blatant stereotype of pro wrestling, I think your name makes much more sense. I’m a wrestling fan and that reference never even occurred to me. This episode aired in July 1993… Bull Nakano had been a women’s champion in Japan for years before leaving for North America in November 1992. I hadn’t heard of Dump Matsumoto… looks like she was a tag team partner of Nakano for part of the 80s, and the two would work together occasionally even up to 2001. Sounds more likely than simply making use of the word “tumble”. And “dumbbell” wouldn’t be pronounced like that in Japanese, would it?